Type and Characteristics: Diesel auxiliary cutter with auxiliary sails, WPG-49, cruising-class of gunboat, designed for Arctic operations, built by Newport News Shipbuilding & Drydock Co, Newport News, VA at cost of $865,700, launched 5 February 1927, commissioned 7 May 1927, 2,150 tons displacement, 216ft long x 38ft 9in beam x 16ft 9in draft, 11.7kts, armed with 2-6pdr/1-1pdr (1927), 2-3in/4-20mm/depth charges (1945), 1 aircraft, 107 crew - 17 officers, 90 men (1927), 120 - 18 officers, 102 men (1945). Log Period and Areas of Service: 1927-46, Bering Sea, Greenland waters in World War 2. 1927-39 - Based at San Francisco, Oakland, then Seattle. Served primarily on Bering Sea patrol carrying out a wide range of duties. These included such governmental functions as law enforcement, capture of criminals, floating court, naval intelligence, carrying mail, carrying teachers to their posts, sanitation inspections, guarding timber and game, coastal surveys, and carrying public health personnel to village without medical services. 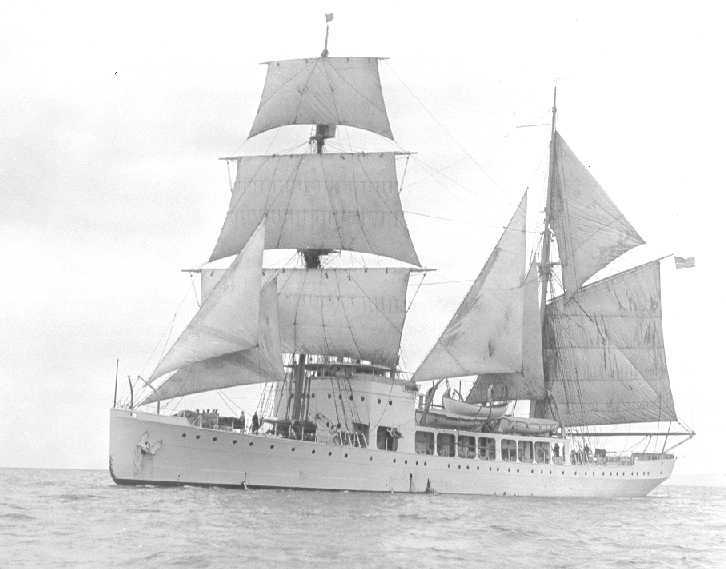 1936 - Auxiliary sails removed and masts trimmed. 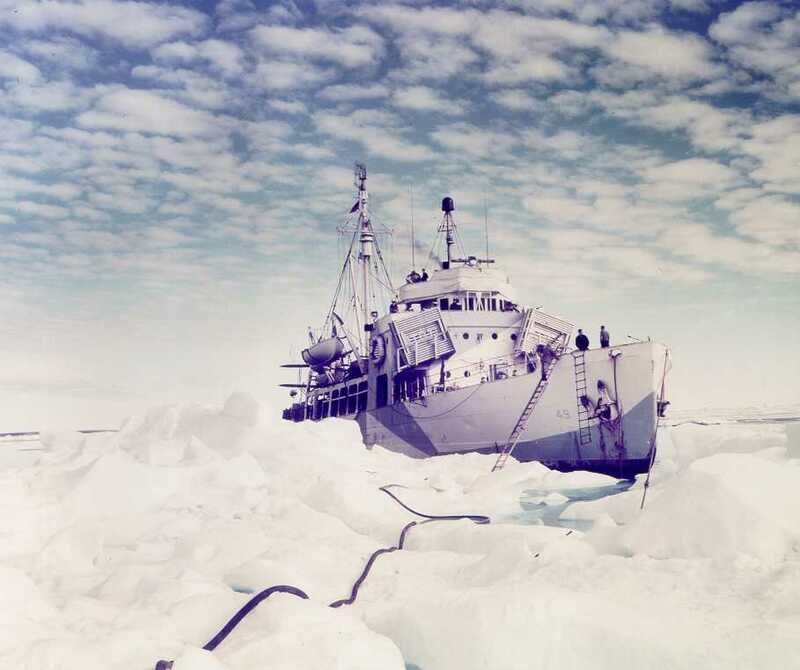 1938 - Departed West coast on last Arctic cruise, then decommissioned. June 1939 - Recommissioned, and transferred to Boston, MA for second Byrd Expedition. With start of World War 2, withdrawn from expedition and returned to Alameda, CA. May 1940 - Start of refit at New York Navy Yard for Greenland duties. 20 August 1940 - Start of first Greenland Survey to assess suitable locations for patrol bases. 7 April 1941 - Start of two month cruise as part of South Greenland Survey Expedition. Also searched for crews of ships sunk in North Atlantic. May 1941 - Joined Northeast Greenland Patrol. 12 September 1941 - Captured German-controlled sealer Buskoe that was serving as a weather ship. This led to the capture of a German radio station on the Greenland coast. 25 October 1941 - South and Northeast Greenland patrols combined with Northland serving as flagship. Force grew to 37 vessels by 1943. 18 June 1942 - Attacked submarine contact with depth charges in Davis Strait. July 1944 - Northland discovered the German trawler Coberg after she had been set on fire by her crew. September 1944 - A second German vessel was chased off Great Koldewey Island. After being scuttled, her crew was rescued by Northland. 1 January 1946 - Returned to Treasury Department. Continued weather patrol duty. Fate: Decommissioned 27 March 1946, bought by Israeli agents and sailed for Mediterranean 1947, renamed The Jewish State. Became first warship of the new Israeli Navy in 1948, renamed Matzpen, decommissioned 1962, sold for scrap.